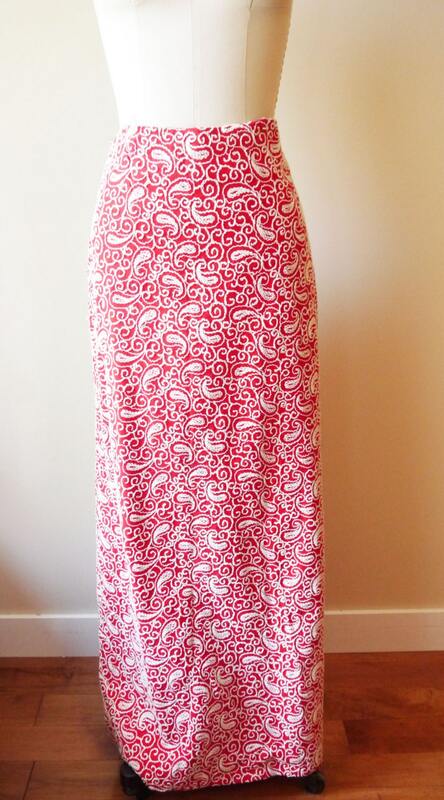 This is an AMAZING skirt. 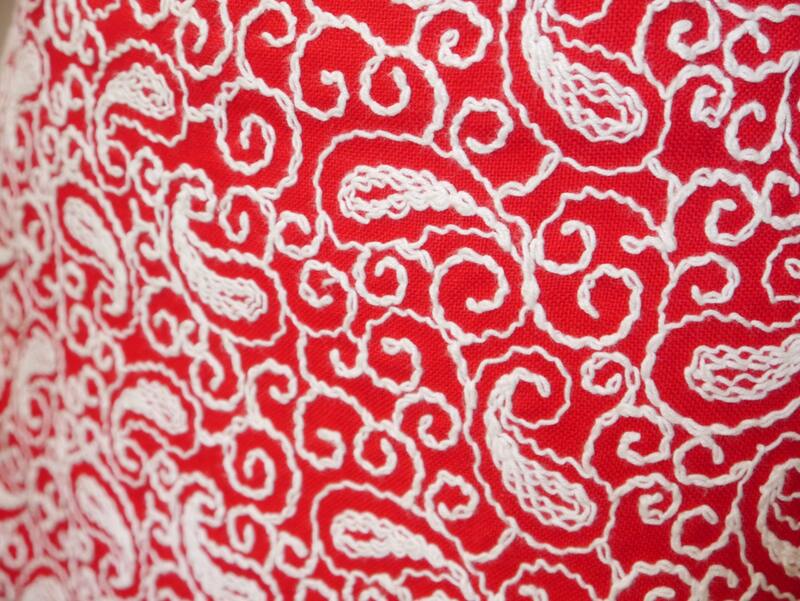 Heavily embroidered paisley detailing throughout the skirt that must have been done by hand. 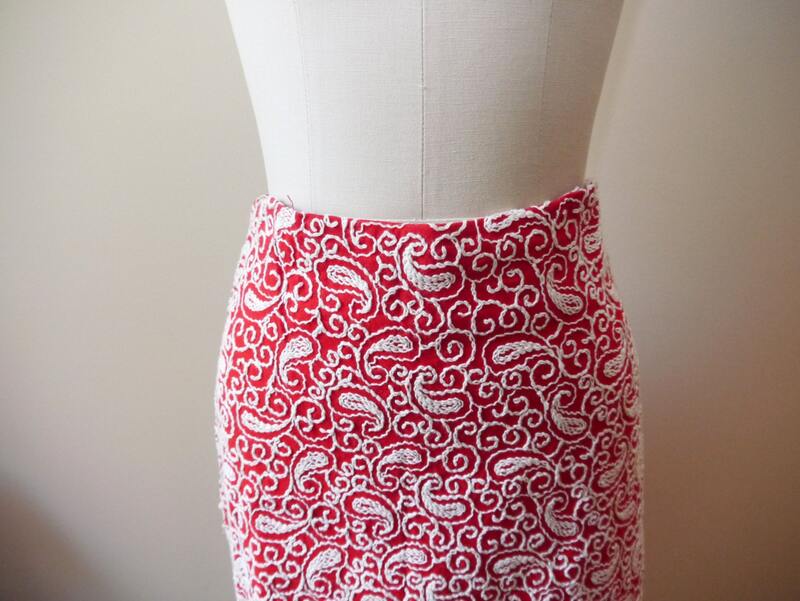 The skirt is extremely well made and fully lined. Zipper closure. 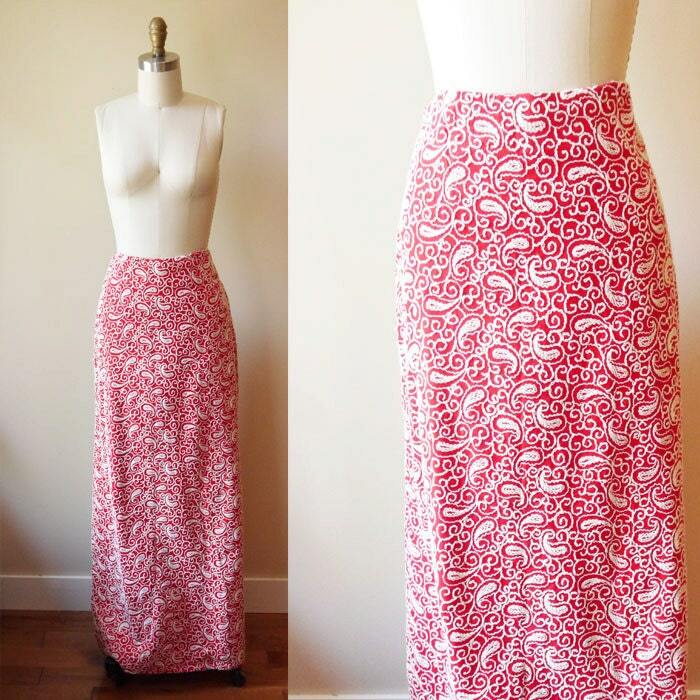 This skirt is in absolutely perfect vintage condition. No flaws, stains, or tears.